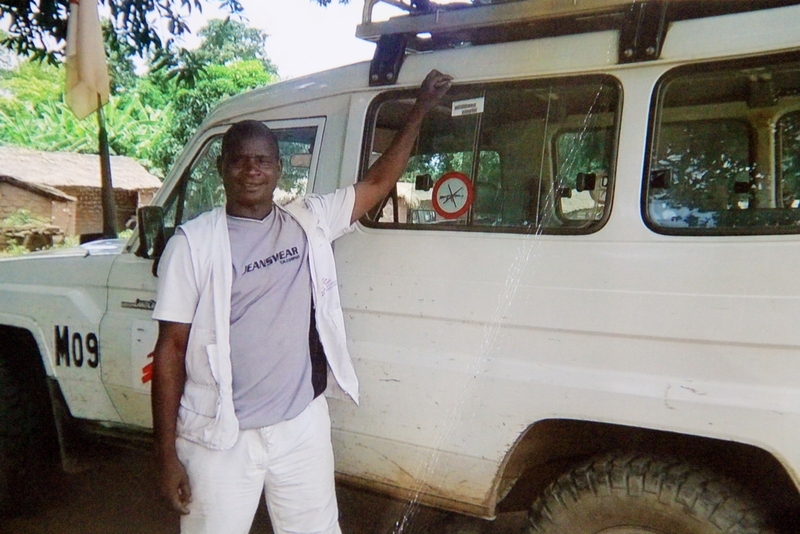 Médecins Sans Frontières (MSF) today pays tribute to dedicated staff member Arsène Bassanganam, who was killed during an ambush against an MSF convoy in Central African Republic (CAR). It is sad news to announce that an MSF colleague has been killed in an ambush that took place in Kouki, 82 km north of Bossangoa in CAR. Arsène Bassanganam was killed when a well-identified MSF team of two vehicles, transporting staff and patients was stopped by armed men. They were then robbed of personal belongings and medication. Arsène was shot and killed after he and his colleagues were forced to lie face down on the ground for more than 40 minutes. “We are devastated at the loss of our dedicated colleague Arsène, who was killed while helping to deliver lifesaving medical aid to people living in isolated communities around Bossangoa,” says Michelle Chouinard, MSF’s head of mission in CAR. “Arsène started working as a driver for MSF in January 2014 when the crisis and fighting in CAR was still at its height and much of the population of Bossangoa was living in camps for internally displaced people (IDP). Despite the dangers, he wanted to help his community during this time of crisis." Arsène was born and lived in Bossangoa. From 2000 to 2010, he was a driver for commercial companies. “Arsène was a highly accomplished driver and did everything in his power to keep our staff safe and secure. He knew the roads in this part of the country like the back of his hand and was a devoted, courageous, honest and discreet man. He was a staff representative at MSF, caring and representing his colleagues, and assisting his employer in any way he could. “On behalf of everyone at MSF, we extend our sincere and heartfelt condolences to Arsène's friends and family." Arsène was 45-years-old and leaves behind 12 children. Activities in the area will remain suspended until MSF receives adequate guarantees for the safety for its staff and the acceptance of its medical and humanitarian activities. MSF expects a full inquiry by the local police and authorities and the perpetrators to be brought to justice.